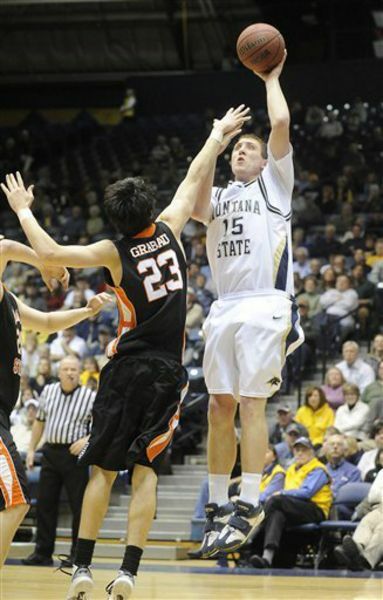 Big Sky Basketball: How Will Montana St. Replace Bobby Howard and Erik Rush? How Will Montana St. Replace Bobby Howard and Erik Rush? Midway through last season, Montana St was sitting at 11-7 and 5-1 in the conference, and thinks were looking up. They had already beaten the favorites (Weber St 75-72 at home), another team projected to be in the top 3 (Northern Arizona), and were coming off a 12 point win against Eastern Washington. They had a big game against rival Montana coming up, but overall they looked like legit contenders in the Big Sky. Then they lost 9 straight games (7 of them in conference), and staggered their way to a 13-18 finish, going 7-9 in conference play before losing in the Big Sky opening round against Northern Arizona. However, there were a couple bright spots on the Bobcats. The first was Bobby Howard, who was a 2nd Team Big Sky performer and finished with a almost 15 PPG and 7.2 RPG, posting an excellent DR%. Erik Rush was another guy that excelled for them, as he was the team's leading scorer at 15.1 PPG, and he also had 1.4 steals per contest and almost 3 assists a game, making him perhaps their best all-around talent. For this he earned Honorable Mention All-Big Sky. But how will Montana St. replace these guys? Probably the first guy that will get a crack is Shawn Reid, who showed good potential as a freshman and "has the look of an explosive scorer." He was a solid outside shooter, but was not very efficient inside the arc, and didn't create a lot of offense for others. But he will be counted on in his sophomore year. At 6'7'' Tre Johnson is another sophomore-to-be who could play a lot of minutes, though his game is different that Reid's. He is a solid rebounder and plays more of an inside game (47% from 2PT). All of those same things could be said of Jordan Alou, though he will be a senior. He showed a solid ability to pull down offensive rebounds. Johnson-Blount is a scorer. He is a good athlete, has a strong frame, and can create his own shot. He is deadly from 3 point range but can also post up and take the ball inside. He should be a great compliment to Huse’s other All American Jamie Stewart who Huse signed last fall. Stewart, an uber-athlete, is more of a slasher and explosive player. Johnson Blount is physically stronger, but more of a pure shooter. Both are scorers and can play both the 2 and three. Another JUCO guard is Christian Moon. He is only 6'2'', but plays shooting guard. He averaged 14 PPG and 5 RPG, and was excellent scorer, so he figures to be involved heavily in their plans next season. Another JUCO player that should get a chance to break the lineup is Jamie Stewart, and he might be the most versatile of the bunch, as he can play the 1, 2, or 3 (though at 6'4"" he is more of a natural 2 or 3). Last year as a JUCO AA he averaged 17 PPG and 8 RPG, and showcased himself as an excellent athlete and very good all-around scorer. He should be one of the most talented players on the roster next season. Who do you guys think will get the most playing time out of this group? Are you hearing anything about all of the JUCO guys, and who is looking good? It will be an interesting season in Bozeman... they will be working a lot of new faces into the lineup after the loss of Howard and Rush (who scored 45% of the team's points last year), but they will be bringing in some solid talent. I believe Montana St. will have a WONDERFUL season,they have 2 of the best players Jamie Stewart & Christian Moon,they really play well together,i can't wait till the season start.Bozeman have received 2 of THE BEST!! !Keep up the GREAT WORK Jamie. Thanks for the comment! Moon and Stewart definitely look like very good players! Are you related to Jamie Stewart? I am excited to see him play, he looks like he will be very good for the Bobcats!! I've played basketball with Stewart in high school and followed him all through JUCO. He is a SCORER, bottom line. He'll put the ball in the rim. After basically breaking both knees, the kid can still fly. Also a very underrated defender, he'll get helpside blocks and he does a great job on the ball. I'll even go a step further and say he may be the confrence's MVP. He has the talent, the drive, and now he has the place. Good Luck Bobcats! That would certainly throw a wrench in what everyone thinks of how the Big Sky race will go, if Stewart turns out to be that good. It will be fun to watch him play.